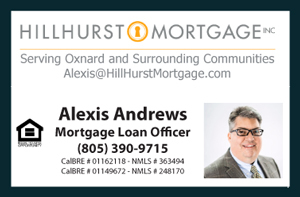 Another great listing SOLD in a wonderful community in North Oxnard, California. This property was Co Listed by David Tovar of Exit Castillo and SOLD in May 2015. 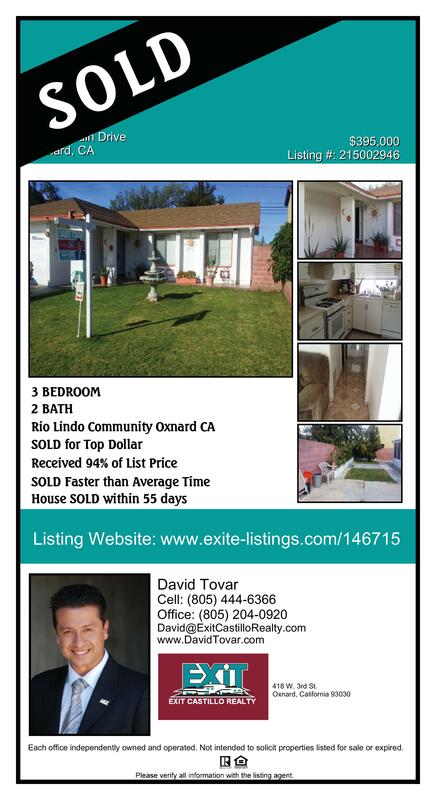 This is a 3 BEDROOM 2 BATH Single Family Home located at 2315 Jardin Drive within the Rio Lindo Community of Oxnard. This property SOLD for Top Dollar and seller received 94% of List Price. It SOLD faster than the average time on the market. It sold within 55 days. Seller was very happy with the results. They buyers area a young couple and are very happy with this being their first home. The transaction was very smooth with very little problems. The appraised value came in below what the seller was asking for but all parties agreed to settle for the appraised value.